with a nice crunchy top and a layer of chocolate chips and condensed milk in the middle. 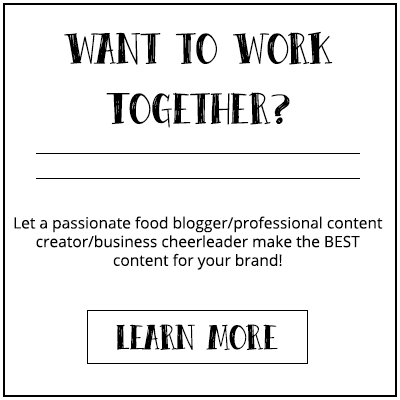 My blog is about sharing. Sharing food, sharing moments, sharing the love. Once I made this fudge brownie recipe with condensed milk, I gave myself permission to be selfish. 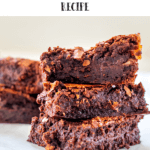 This title does not kid, it is the ultimate fudge brownie recipe with condensed milk you will ever encounter. 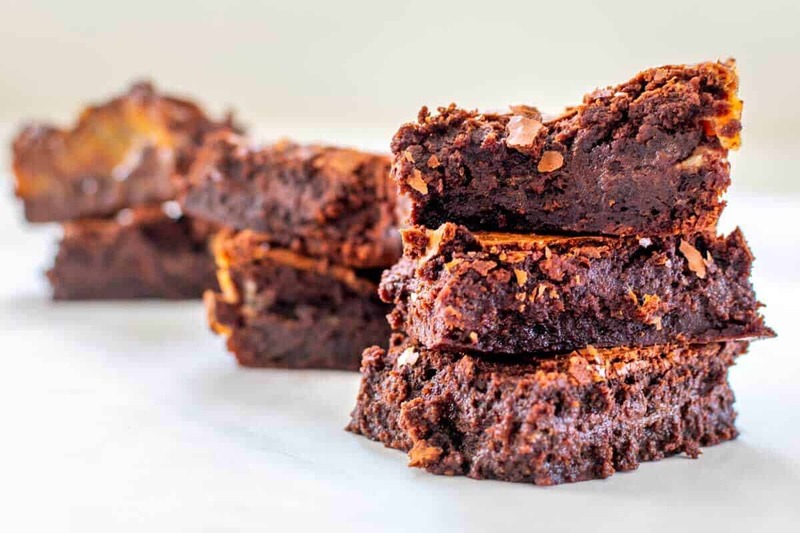 This fudge brownie recipe with condensed milk reminds me of my Oreo Cheesecake Brownie Recipe. It’s a fun and unique twist to a classic treat that’s even more delicious and just a delight to indulge in on rainy Saturday. The top has this nice crunchy layer while the brownie itself is very gooey. 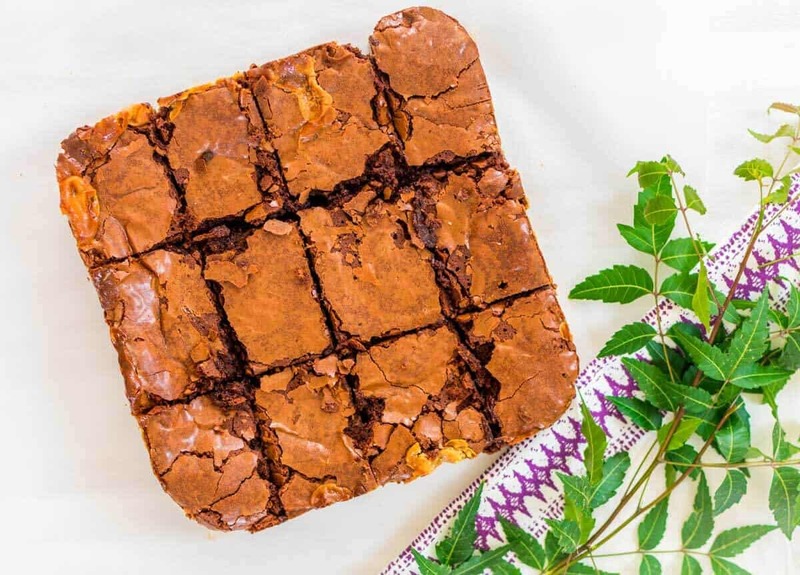 Creating a brownie recipe with condensed milk is what will elevate your brownies to the next level. The chocolate chips blends into the brownie make it very soft and chocolaty. I’m obsessed with condensed milk. If it’s up to me I would add it to everything. 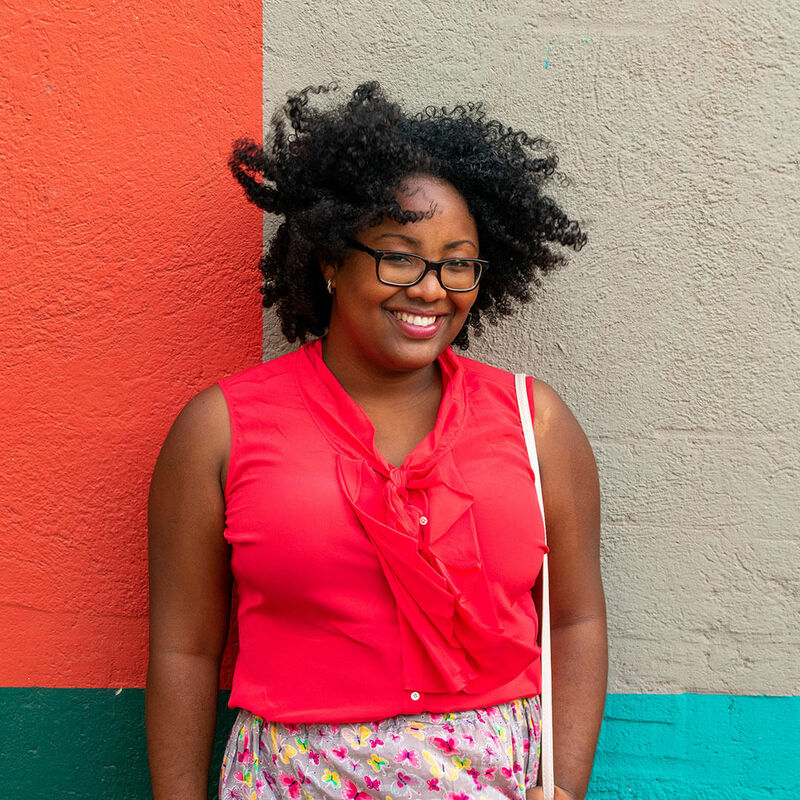 I sometimes buy a can of condensed milk, dip a breadstick or cracker, and eat it just like that. People always found that very weird, but I have this weird obsession since I was a kid. So, once I heard about a brownie with a layer of condensed milk I just had to try it. The result of this fudge brownie recipe was beyond my expectation. Fabian refused to share it with anyone and to be honest it was indeed too delicious to share. He literally ate half of the batch by himself. Breakfast, lunch, and as dessert. 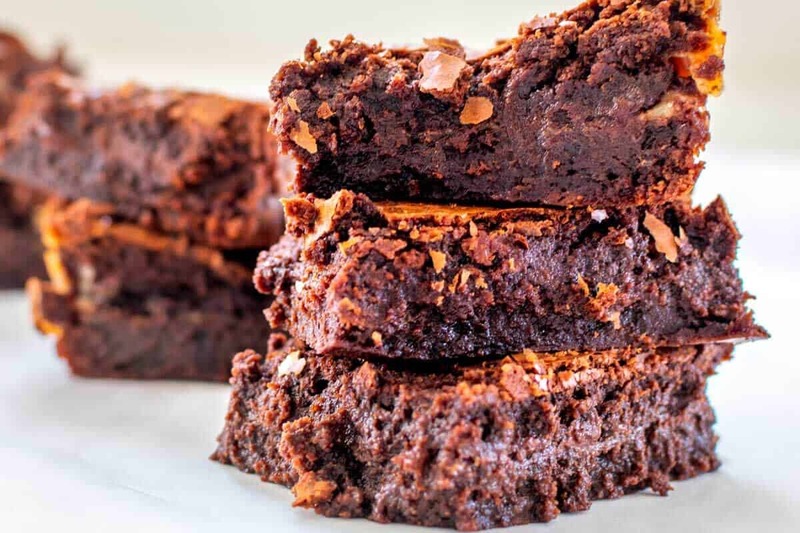 I think I made him fall in love with me even more, just by creating this fudge brownie recipe. But, let me not put all the blame on him. I did my fair share of eating as well. Every time he offered me a piece I would say, “just give me half”, and then ended up eating a whole piece of the brownie. My ultimate fudge brownie recipe is going into the recipe box, locked in a save, and will hopefully be passed on to my grandkids in the future. 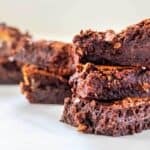 This is your ultimate fudge brownie recipe with condensed milk that has a nice crunchy top and a layer of chocolate chips and condensed milk in the middle. First, preheat the oven to 350°F (175°C) and cover a baking pan (8x8 inch) with foil and spray with a nonstick cooking spray. Combine half of the chocolate chips with butter, and unsweetened chocolate in a large bowl (microwave-safe) and heat this for 1 minute then stir. Continue this heating process in 30-second bursts and stir between each burst, until the mixture is well melted and smooth. Let the mixture cool. Add the eggs and sugar into a large bowl and mix on medium-high speed until it is light and thick. This will take about 3 minutes. Then add the vanilla extract. Stir it into the chocolate mixture. Add the flour, and salt, and mix it well. Pour half of the mixture into the prepared baking pan, and bake for 10 minutes. Take the remaining half of the chocolate chips and sprinkle it together with the sweetened condensed milk over the top. Pour the remaining mixture over. Put it back in the oven and bake for 35 minutes, but do not overbake. When the baking process is finished, let cool to room temperature before placing them in the fridge to chill. 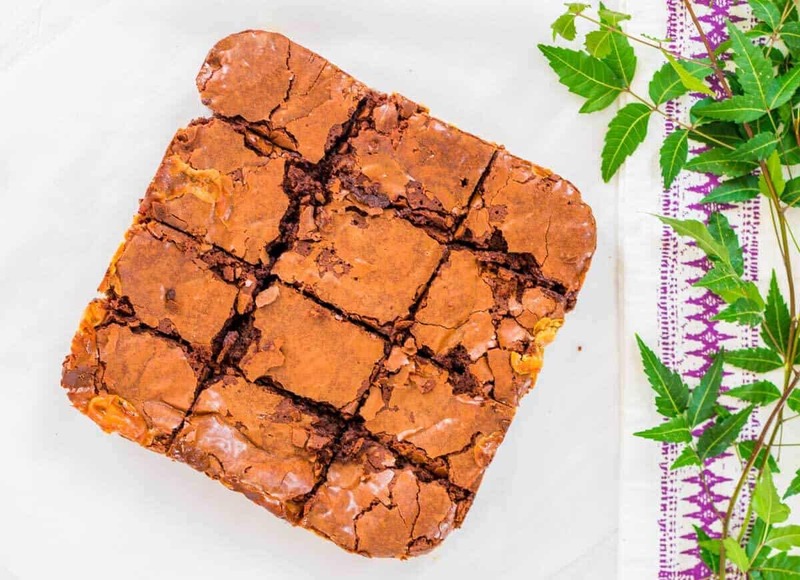 Serve the brownies at room temperature or warmed in the microwave.